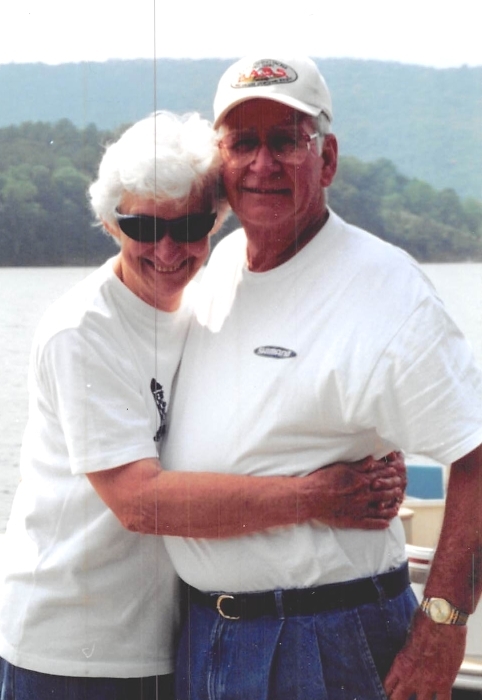 Clyde Ray Walker (90) of Pinson, Alabama passed away peacefully in his home after a long illness. He is survived by his wife of sixty-eight years, Ann Ellis Walker, and children, Kenneth Walker (Susan), Katherine Blalock (James) and Kristen Robinette (Clayton). Grandchildren include Jessica Walker, Matthew Walker, Joshua Blalock (Christina), Corey Blalock, Zachary Walker, Morgan Robinette, Natalie ox (Grant) and Adrienne Robinette. Great-grandchildren include Nicholas and Bella Wood, Logan and Leah-Kate Blalock and Davian Walker. He is blessed with five sisters, one brother and numerous nieces and nephews. He is predeceased by his parents, Shelvy Brooks Walker and Vessie Walker, son, Kevin Walker (Jan) and grandchildren David Walker (Kate) and Lindsay Walker. Clyde was a retired Battalion Fire Chief for the City of Birmingham and served for thirty-six years with the Birmingham Fire Department. He also served thirty-eight years with the Air National Guard and retired as a Senior Master Sargent from Alabama 117th Air Refueling Wing. Services will be held at Jefferson Memorial Funeral Home in Trussville on Wednesday, October 24th. The family will receive visitors from 2:00 p.m. until 3:00 p.m., with services immediately following at 3:00 p.m. Private military burial will take place for family at Alabama National Cemetery in Montevallo, Alabama on Friday, October 26 at 12:30 PM. The family would like to express special thanks to Sarita Whitney for her love and compassionate nursing during his illness. In lieu of flowers, donations may be made to the Fisher Center for Alzheimer's Research Foundation at alzinfo.org or 1-800-ALZ-INFO.